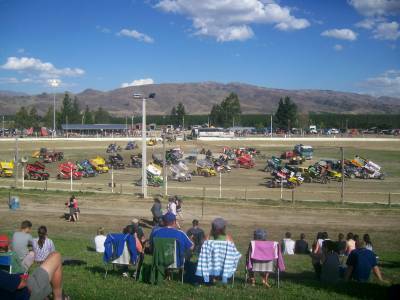 Location - From Cromwell the track is located just off the road to Queenstown. You can see the track lights from the main road. Once you go past the lights take the road on th left. The road will quickly become a dirt road. The track is on your left. Parking - For most meetings parking takes place on or above the massive bank which is behind the back straight. For the big meetings supplementary parking is used in the vicinity of the entrance to the track. Premiere Meeting - Easter sees the running of an annual meeting that attracts quality across the board. 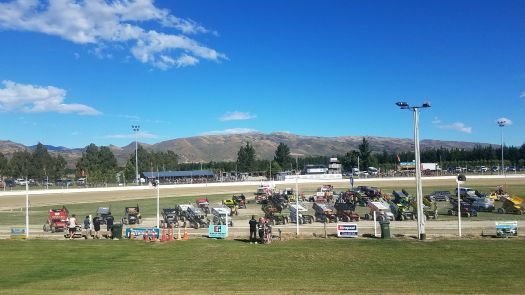 Also worth attending - The Cromwell calendar is a small one but try the South Island Super Saloon Series or one of the Christmas Meetings. Best spot to sit - You can't go wrong on the massive embankment. Be on the lookout for intoxicated locals armed with Gazebo's and keep well away. 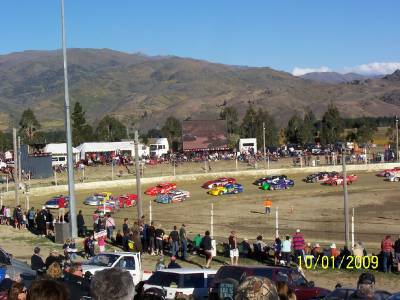 Try a spot high on the embankment for a beautiful view of the track and surrounding scenary. 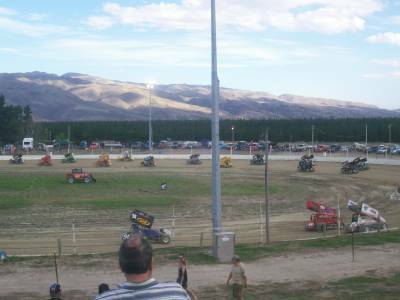 Classes run - Youth Ministocks, Streetstocks, Production Saloons, Saloons, Super Saloons, Sprintcars, Sidecars. Uniqueness - Cromwell is a true D oval. Turn 1 & 2 is a recipe for excitement. The turn starts in a sweeping manner before aburptly turning sharply at almost a right angle. There are two lines through the corner, high entry low exit and low entry high exit. Both lines can work depending on track condition. Turn 3 & 4 is a wide sweeping corner that couldn't be more different than turns 1 & 2 if it tried. But it doesn't end there. 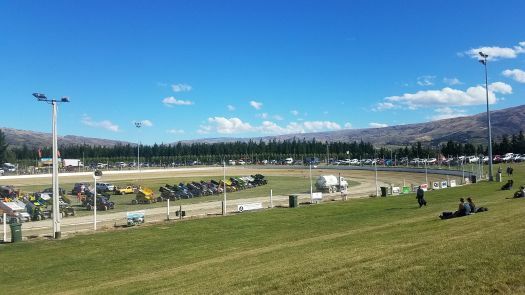 The Cromwell track is perhaps New Zealand's and maybe even the worlds most scenic speedway track. The backdrop is some large hills that are best described as spectacular. 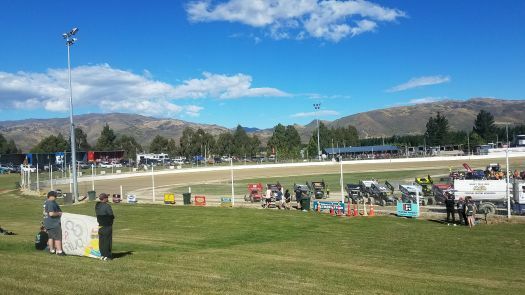 During the evening the sun lights up the hills after natural sunlight has left the track area. 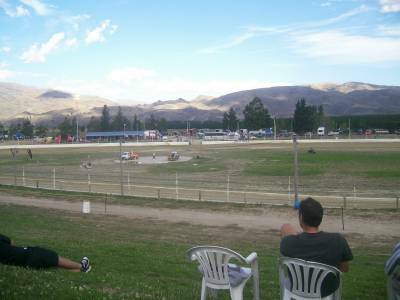 Cromwell can also be one of the hottest and coldest tracks, sometimes within the same evening!